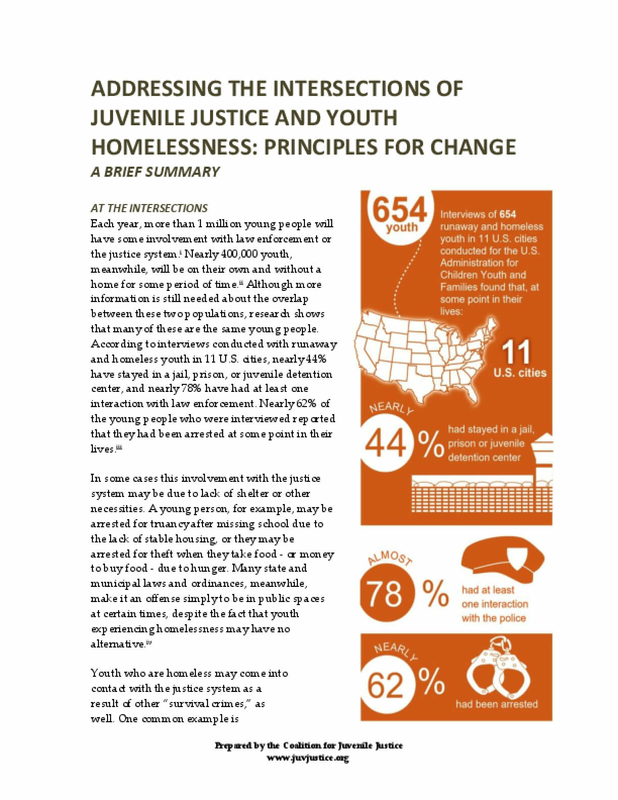 By coming together across sectors, communities can address the intersections of juvenile justice and youth homelessness. These partnerships should focus on ensuring that young people and their families have access to safe, secure, and sustained housing, as well as services that help address their underlying needs. Educators, law enforcement, judiciary officers, policy makers, and most importantly youth with relevant lived experiences, all have an important stake in these efforts to.